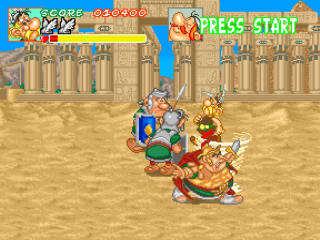 Asterix is a licensed brawler from Konami in the same vein as TMNT and The Simpsons. 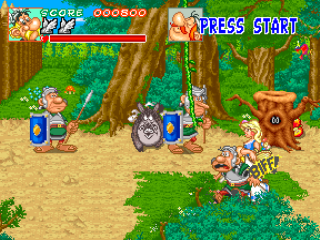 It has a humorous, cartoony style and casual, accessible gameplay. 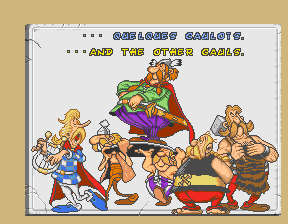 It stars Asterix and Obelix, two Gauls empowered with magic strength, who fight against Julius Caesar and his subordinates. 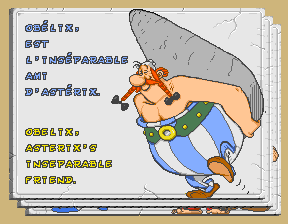 Asterix, the hero of these adventures. 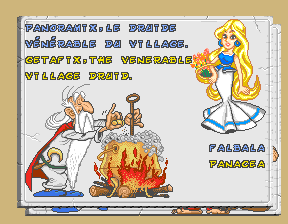 Getafix, the venerable village druid and Panacea. 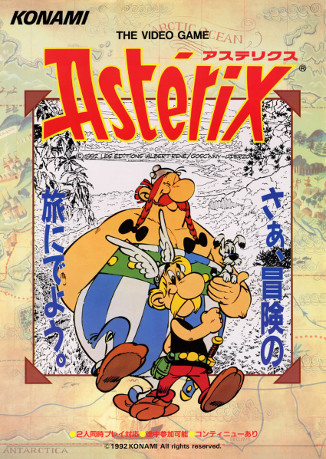 Asterix is based off of the internationally beloved comic series by Rene Goscinny and Albert Uderzo. It's about Gauls (medieval French tribesman) who fight against Roman occupation by imbibing power potions brewed by a sage. The names in this series are all puns. 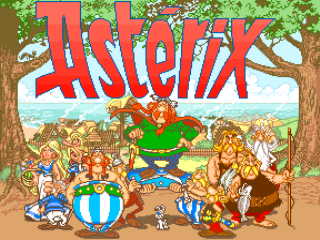 Asterix is the * symbol, which signifies a "wildcard", Obelix means "obelisk", a giant rock, and Getafix is obvious. 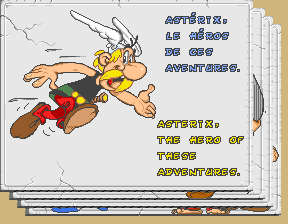 I hate to say it, but I'm not crazy about Asterix. 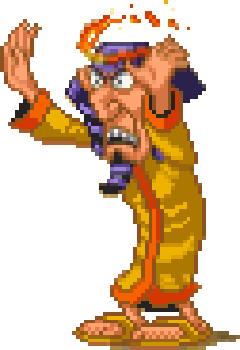 Like TMNT, Konami did a phenomenal job of translating a licensed property to beat 'em up format. This game is oozing personality. 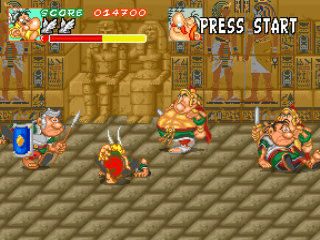 However, the combat's too simple for my taste and the music's way below Konami standards. 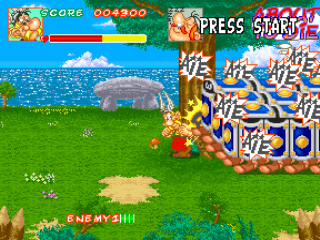 The slow pace and small enemy waves make the combat tedious.